Do you want to be nice to the annoying reporter or would you rather headbutt her in the face? These are the kinds of questions the original Mass Effect trilogy posed, with too many choices like the latter leading to some funky facial scarring later on. Apparently Andromeda won’t be so binary. There are plenty of decisions to be made in our list of PC’s best RPGs. 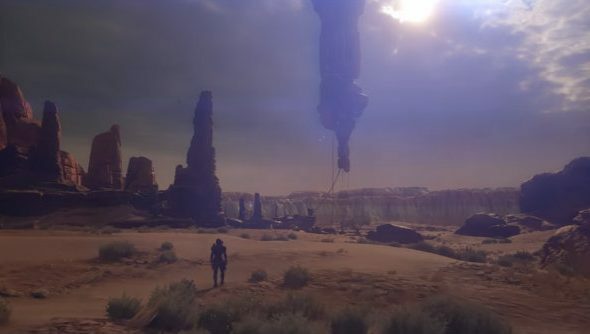 In an interview with GamesRadar, creative directorMac Walters explained how BioWare plan to expand on choice in the Mass Effect universe with the next game, offering more shades of grey. So long as you can still make these choices while rocking baby pink space armour, I’m down. “I think in general, with all this sophistication of games or engaging in any kind of entertainment right now, [gamers are] looking for more of those shades of grey,” said Walters. Speaking of the old Paragon/Renegade system, Walters said that “was a core part of who Shepard was”, but they’re hoping to switch it up with the new Pathfinder character as they carve their path towards humanity’s new home in a galaxy far, far away.